This is all so exciting! I am honoured, humbled, and tickled pink. 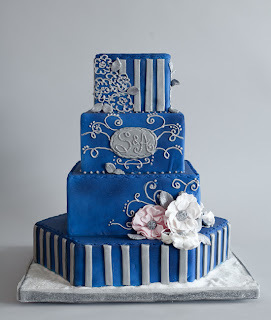 A was asked a few months ago to create a unique cake for a project Weddingbells.ca was putting together for the summer. They were asking cake artists across Canada to take part and I was one of them! The company of artists was definitely humbling as many of the cake designers I love and follow were also part of this fun project. Now, we get to sport this awesome badge! Here was my creation. It was inspired by Pinkpolka Wedding Design and photographed by Nathan Walker. Be sure to check out all the spectular edible art created by some of Canada's most talented! I just want to say, that the past seven years of designing cakes has been a whirlwind. I have been able to accomplish so much in such a short period of time and it is a little over whemling to take in at times. My inspiration has always come from various people and places and no amount of gratitude can express how grateful I truly feel. Being part of fun projects like this make it all worthwhile! Thanks again to the gals at Wedding Bells for including me. It was such an honour. Whimsical Cake Studio is a unique cupcake and cake design company in Edmonton owned by husband and wife team, Ken and Ailynn. We cater to clients who have a clever sense of taste and style. 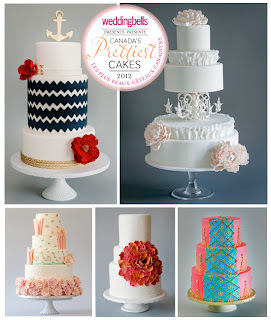 We think of each cupcake and cake as an original work of art designed just for you! Beneath the delectable frosting and fanciful frills you'll find only the freshest and finest ingredients baked from scratch.It's cake beyond your sweetest dreams...and designed with a lotta love! Our motto is, "Making the world sweeter, one cupcake at a time."